Artist: Attributed to Lewis Vaslet. 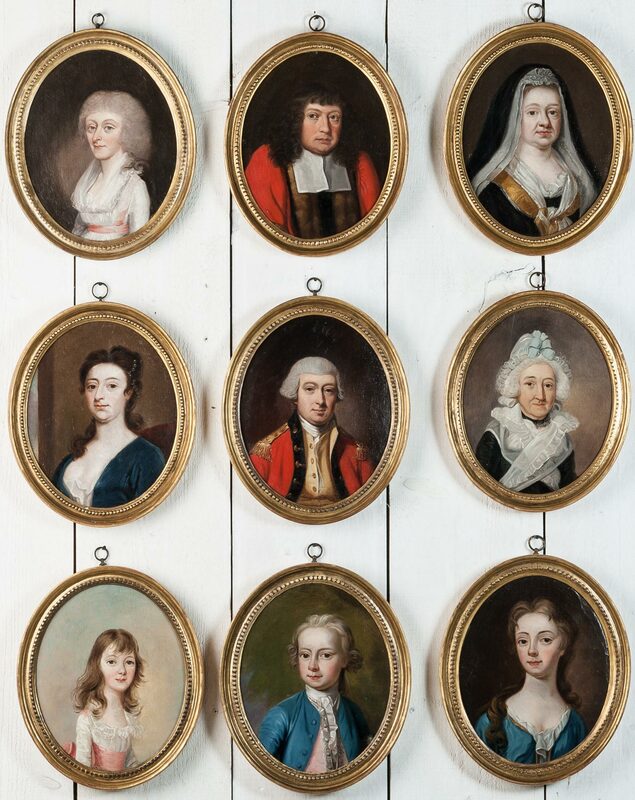 A set of nine family portraits of the Oliver family of Exwick House Devon. Sir Benjamin Oliver was Mayor of Exeter from 1670 to 1671 and was knighted by King Charles II in 1671. He was an Exeter merchant whose country residence was at Exwick. Benjamin Oliver and his wife Elizabeth appear to have had four children, Benjamin, Francis, (named after his uncle Francis Worth and his great uncle Francis Bampfylde), Jane, and Joseph. The family came to an end with the death in 1776 of Elizabeth, daughter of Joseph Oliver and the widow of Williams Williams M.D. Lieutenant Lewis Vaslet was born in York in 1742 and served in the 25th Regiment of Foot. On leaving the service he travelled to Italy. Between 1770 and 1782 he exhibited 10 works at the R.A and at the time of his death in 1808 was working in Bath having previously worked at York, Norwich and Oxford where he advertised himself as an 'artist in crayons (miniatures and likenesses)'. Painted in iol on canvas laid down onto panel and within the original gilt gesso frames.